People often forget the value of keys to their security and, thus, forget the importance of key replacement. A small distortion in the jaws of the keys and the door won't open! Do you think this is merely an exaggeration? Well, it is not! Keys are made with mathematical precision in order to fit the lock perfectly and operate properly. The moment you start putting force to fit the key in, you should consider key repair or even better replacing it. After all, the repercussions of problematic keys are numerous and all related to your security. We can all agree that keys are durable, made of hard steel and last for many years. Do they last forever? Obviously, they do not! Don't forget that we don't treat them with the utmost respect in our everyday lives anyway. We put them together with other metallic objects, throw them on hard surfaces with force, use them to scratch dirt off the wall and let them age faster. Keys do age and old age comes with slight or intense distortions. 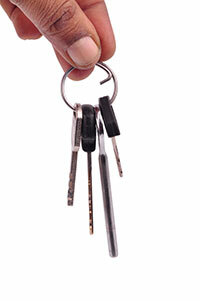 Keys may get affected by weather conditions and they may also rust. One day, you insert the key in the lock and the key breaks. Wouldn't it be easier to avoid the hassle of broken office key replacement? It's prudent to treat them properly, keep them separately from other objects and pay attention to their condition. The number one rule is to replace the key before problems begin. Of course, a new key made using the wrong key blank or if the jaws aren't properly cut will still cause problems. In some cases, it might be something wrong with the lock and, in this case, you will be forced to proceed with lock change and thus have a new key. 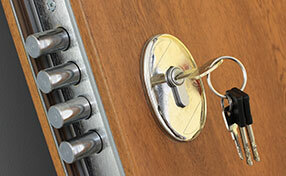 The secret to avoid lockouts and trouble is to take care of your keys beforehand.